You wouldn’t know it from Chi Chi’s big, doggy smile that she almost didn’t survive to become the grinning, loving dog that she is today. She was found in a trash bag next to a black market meat trader in South Korea. Her rescuers saw that she was barely alive, and all of her paws were bound tightly with wire. 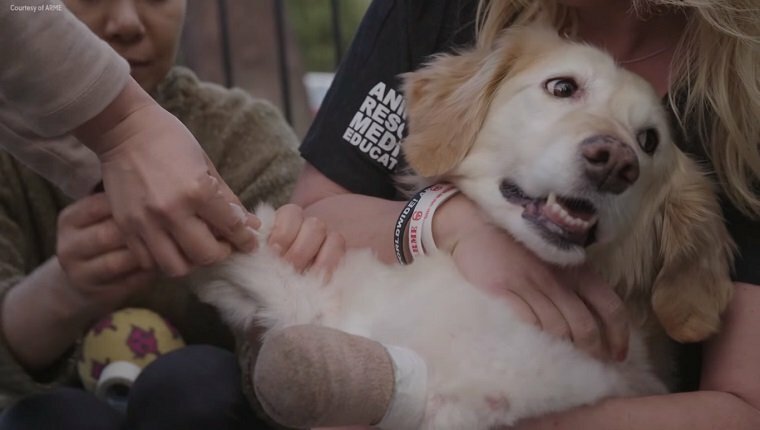 They brought her to an animal hospital where doctors said that her only chance at living was if they removed all four of the paws. The next day, Chi Chi’s indomitable spirit shined. It was as if she had never been through trauma and had never been mistreated by humans at all. She was ready to move about the best she could and play with her toys. This forgiving, loving pup was ready to keep living her life and find a forever home with people who loved her. And she did just that! Chi Chi traveled to the United States and is now living with her new family in Arizona. She gets around pretty well for a pup with no paws. 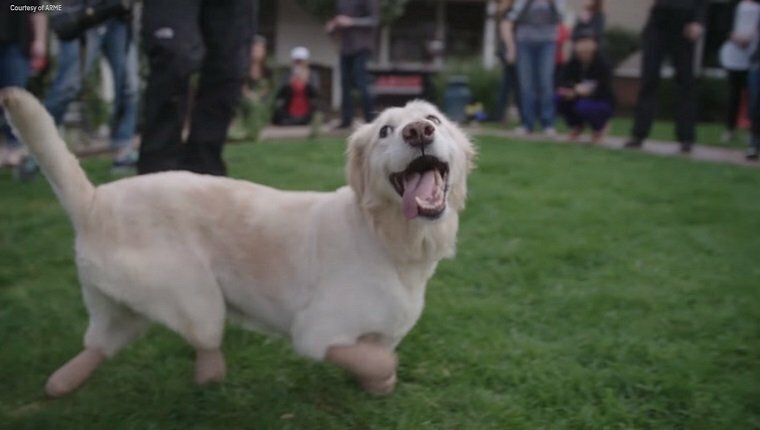 Her owners hope that they’ll be able to get her certified to be a therapy dog for amputee patients in hospitals. They believe her inspirational journey and her happy spirit will bring comfort to people who need it. Does Chi Chi’s story inspire you? Would you adopt a dog like Chi Chi? Let us know in the comments below!